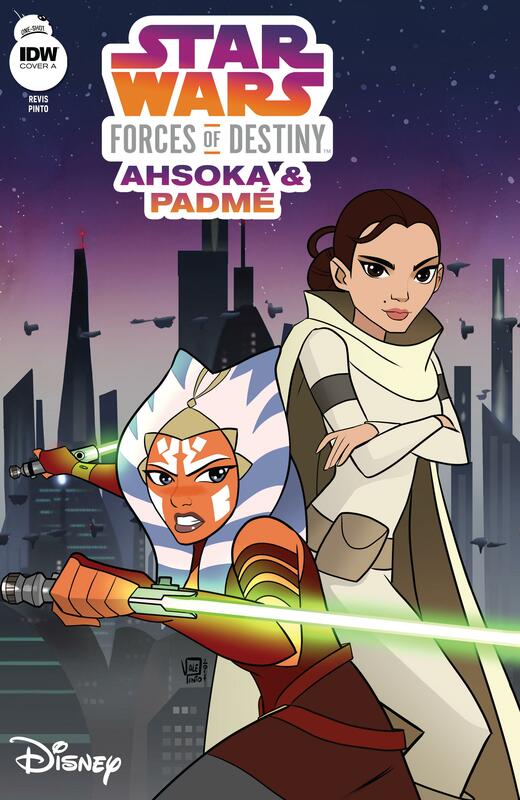 The fourth week of the Forces of Destiny gives us a story with Ahsoka and Padme. Now I have to keep an open mind that this is a book for a younger audience. The pairing of Ahsoka and Padme is almost natural. We get a little of, Ahsoka sparing with her old friend Bariss. If your watched The Clone Wars you know how that all turned out. It’s a little life lesson that Ahsoka learns or Jedi training if you will. The remainder of the story consists of Ahsoka helping Padme deal with an incoming diplomat with some weird thing in their hands. If you long for the days of the animated Clone Wars then this it right up your alley. Otherwise the art is a tad rigid and seems pasted together. It almost looks like it’s from the animated series. It is nice to see the characters in action, but I would prefer a better told tale.